One for the coffee mug. Doll is a female fronted 'alternative' rock band from Canada. 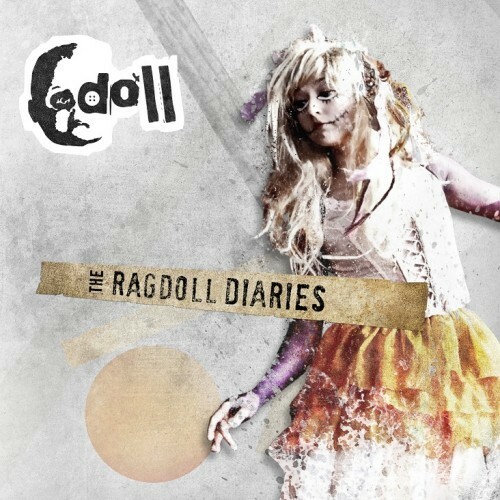 'The Ragdoll Diaries' is a post-grunge punk styled assault on the senses described by the bio as 'lyrically honest, musically accomplished and beautifully crafted'.....hmmm. They have toured extensively in Canada and have also played some shows in America but on the strength of this release if they fail to make it over to the UK then I, for one, shall not be disappointed. Though consisting of only 11 tracks, with a running time of around 34 minutes, I have to admit it was an effort to play the album through more than once. If I had not had to write a review then 'The Ragdoll Diaries' would have been consigned to the plastic graveyard immediately. The band is a four-piece consisting of Christina Kasper (vocals/guitar), Peter Kasper (guitar), Nick Richer (drums) and Alex Vance (bass), though Vance did not take part in the recording process. The bulk of the material is annoyingly repetitive and uninspiring and I would even go as far as saying dated. There is energy to spare for sure but the songs lack any emotional or creative depth and even the performances come across as amateurish and one dimensional. Christina Kasper is a spirited singer with a naturally caustic style but the vocal attack is without real feeling or conviction. If I had to make references I would probably suggest L7 or Hole but Doll have a long way to go before they reach the commercial heights of those two bands. The moody mid-paced 'Guardian' and underlying melancholic subtleties of closing track 'Sleeping In The Clouds Of NYC' hint at promise but to these ears it is all a little too late and is something the likes of Lennon and Avril Lavigne (earlier in her career) did so much better. 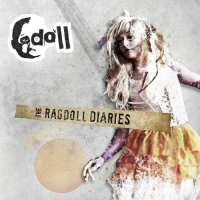 I have had more than enough quality releases to review this month to keep me happy but for now 'The Ragdoll Diaries' is one for the coffee mug.